Kvitkovsky, Denys [Квітковський, Денис; Kvitkovs'kyj; pseud: D. Kyrylchuk], b 22 May 1909 in Sherivtsi Dolishni, Bukovyna, d 15 March 1979 in Detroit, Michigan. Lawyer, editor, and political activist. He became a leading member of the Ukrainian nationalist movement in Bukovyna while still a student at Chernivtsi University. He was the editor of the nationalist weekly Samostiinist’ (1934–7) and a coeditor of the monthly Samostiina dumka (1931–7) in Chernivtsi. 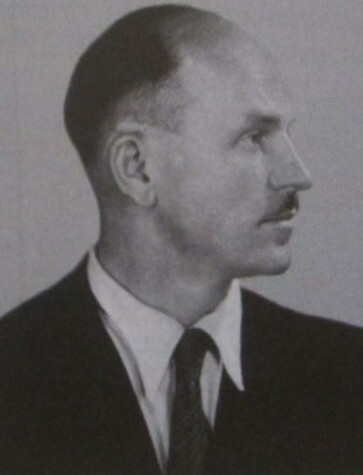 Imprisoned for his activities by the Romanian authorities, he emigrated to Germany in 1940 and joined the executive of the Ukrainian National Alliance in Berlin. In 1949 he immigrated to the United States of America and started a law practice in Detroit. He was a contributor to Ukraïns’ke slovo (Paris) and the editor of Samostiina Ukraïna in Chicago (1976–9). He was a leading member of the OUN (Melnyk faction) and head of the Leadership of Ukrainian Nationalists in 1977–9. He wrote a number of political essays, including Natsiia, derzhava, i provid u ‘Natsiokratiï’ Mykoly Stsibors'koho (Nation, State, and Leadership in Mykola Stsiborsky’s ‘Nationocracy,’ 1943) and Represiï v Ukraïni v svitli mizhnarodnoï konventsiï pro zlochyn genotsydu (Repressions in Ukraine from the Perspective of the International Convention on Genocide, 1968). He was the coeditor of Bukovyna: Ïï mynule i suchasne (Bukovyna: Its Past and Present, 1956). Compilations of his writings, edited by Vasyl Veryha, appeared in 1993 as Borot'ba za ukraïns'ku ideiu (Struggle for the Ukrainian Idea) and in 1996 as Moï mirkuvannia: Zbirnyk publitsystychnykh tvoriv, 1963–1969 (My Thoughts: A Collection of Publicistic Works, 1963–1969).